Sideshow Collectibles celebrates the outstanding fine art of Jerry VanderStelt. VanderStelt Studio is proud to present this exciting, brand new series of Fine Art Giclees for its licensed ´The Lord of the Rings´ Fine Art Program. 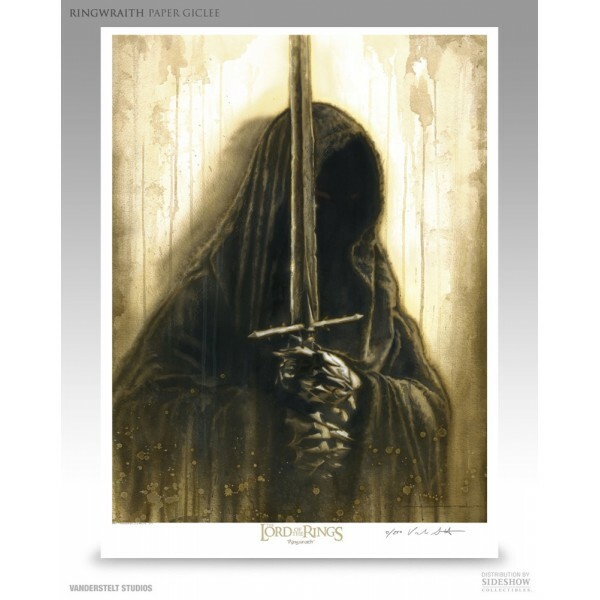 This Particular piece is a PAPER GICLEE edition, measuring 43 x 56 cm, featuring the Ringwraith Morgul Lord as seen in ´The Lord of the Rings´ films. These Paper Giclees are Limited to only 250 pieces worldwide.